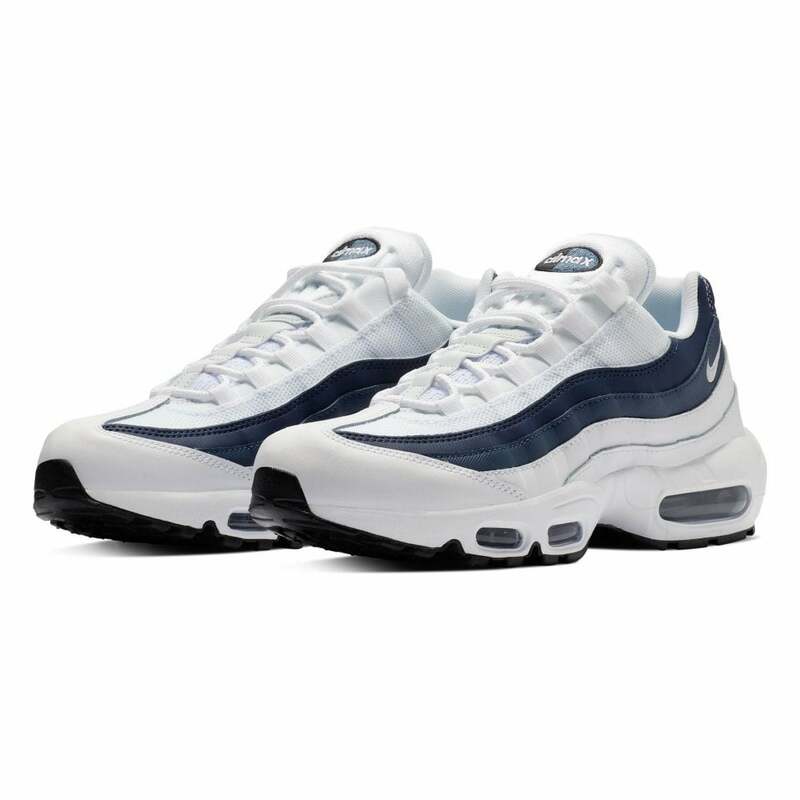 These lace-up Nike Air Max 95 Essential Trainers have a breathable synthetic mesh upper with blue and navy leather overlays. The heel has a supportive strip and they feature bungee style laces. The lining is soft and white with Nike branding appearing on the tongue, sides heel and under sole. The soles have Air Max technology built in and a deep tread for unbearable grip on any surface.